Alister Chapman “I kind of feel like we have been here once before. That’s probably because we have and I wrote about it first time around. A typical video camera has a special filter in it called an optical low pass filter (OLPF). This filter deliberately reduces the contrast of fine details in the image that comes from the cameras lens and hits the sensor to prevent aliasing, jagged edges and moiré rainbow patterns. It’s a very important part of the cameras design. An HD camera will have a filter designed with a significant contrast reduction on parts of the image that approach the limits of HD resolution. So very fine HD details will be low contrast and slightly soft. 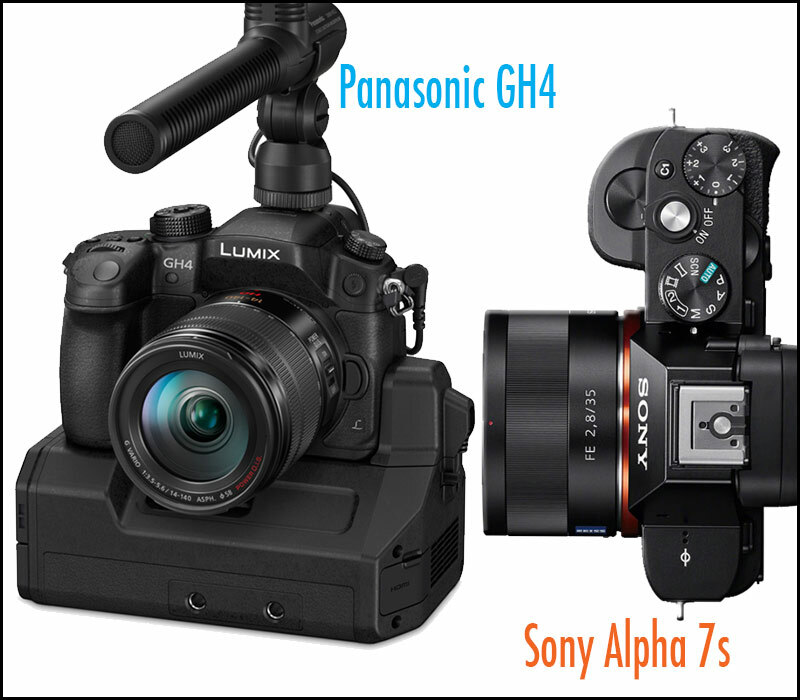 When you shoot with a 4K camera, the camera will have an OLPF that operates at 4K. So the camera captures lots of very fine, very high contrast HD information that would be filtered out by an HD OLPF. There are pro’s and con’s to this. It does mean that if you down convert from 4K or UHD to HD you will have an incredibly sharp image with lots of very fine high contrast detail. But that fine detail might cause aliasing or moiré if you are not careful. The biggest issue will be with consumer or lower cost 4K cameras that add some image sharpening so that when viewed on a 4K screen the 4K footage really “pops”. When these sharpened and very crisp images are scaled down to HD the image can appear to flicker or “buzz”. This will be especially noticeable if the sharpening on the HD TV is set too high. So what can you do? The most important thing is to include some form of anti-aliasing to the image when you down scale from 4K to HD. You do need to use a scaling process that will perform good quality pixel blending, image re-sampling or another form of anti-aliasing. A straight re-size will result in aliasing which can appear as either flicker, moire or a combination of both. 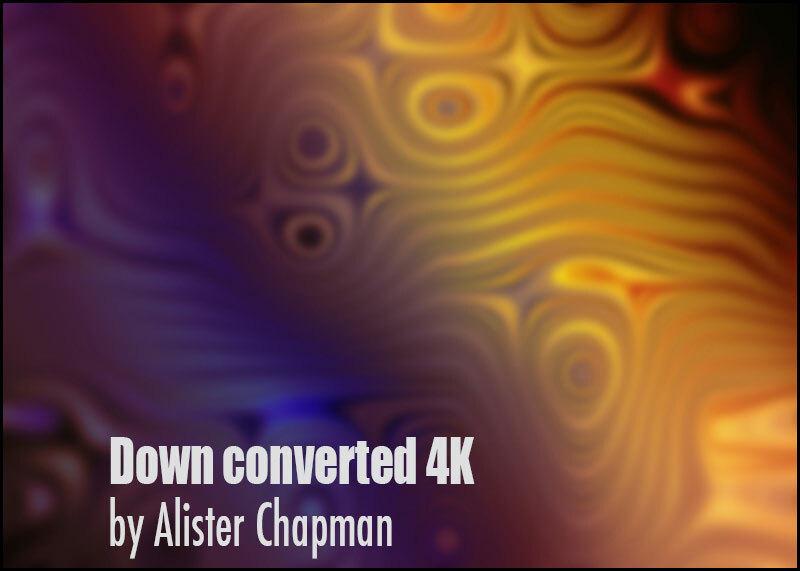 Another alternative is to apply a 2 or 3 pixel blur to the 4K footage BEFORE re-sizing the image to HD. This seems a drastic measure but is very effective and has little impact on the sharpness of the final HD image. Also make sure that the sharpening on your TV is set reasonably low. Getting good SD from HD Part 1. Getting good SD from HD Part 2. HDW : This is something I have not done yet with my Panasonic GH4, though I was looking forward to down converting to HD to allow me to re-frame the shot, this would mean filming at 25p which is no great hardship as 70% of my work ends up on the internet. There is a lot to learn with 4K and a ton of pitfalls…what looks good on one monitor may look poor on another and that’s without a 4K monitor ! So, here’s what I’m wondering. As the Canon C100 (and C300) use the same sensor as the C500, the latter which is a 4K camera, is this same “downsampling” happening in the C100 and C300? I come to Philip’s site as a stills guy interested in video as it offers excellent easy to understand video articles. Maybe you guys can answer a question for me. I’m shooting with the Sony A7R and really enjoying the easy to procure video because of the Sony EVF & XLR audio, but I’m noticing moire & aliasing from the A7R. Because of the type of stills I shoot (many low-light) I’m thinking about getting the A7S, but I’m finding it hard to get definitive information about the 1080p HD from the A7S. Is the A7S “whilst in 1080p” going to be a direct sensor readout (minus pixel binning & line-skipping)? PS I have little interest in 4K currently.